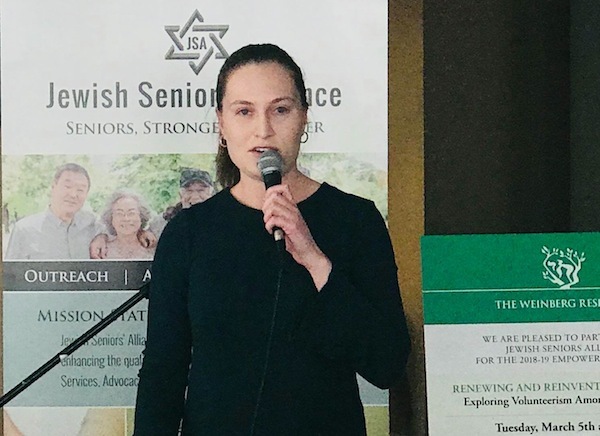 The first Jewish Seniors Alliance Snider Foundation Empowerment Series session of the 2018/19 year was on the theme of “Renewing and Reinventing Yourself as an Older Adult.” Held on Nov. 30, it was co-sponsored by the JSA and the Sholem Aleichem Seniors of the Peretz Centre for Secular Jewish Culture. Thirty-five “older adults” gathered to listen to stories on the “Reinventing Yourself” theme, read by Al Stein and me. Gyda Chud, JSA vice-president and SAS coordinator, introduced the session by speaking about the goals of JSA in advocacy, education, information and peer support services. She emphasized the aim of JSA’s motto, “Seniors Stronger Together,” before welcoming the readers. I shared that it had not been easy to find Yiddish stories translated into English that corresponded to the theme, so Al and I had to look to stories written in English by Jewish writers. Al began with a short parable from Roman times about a 100-year-old man who was still planting trees. I continued with a story by Grace Paley called Goodbye and Good Luck, which is set in New York in the 1930s – an older woman describes her colourful life to her niece. Al’s next story was by a Canadian Jewish writer, Jack Ludwick, which was about an older woman who is constantly drawn back to the area of Montreal where she grew up and spent her early married years. The session closed with my reading a short section from Sholem Aleichem’s Menachem Mendel. A discussion about the pleasure and the purpose of passing on stories to the next generation followed, and then Gyda thanked everyone and invited all to tea, coffee and cookies in the lounge. 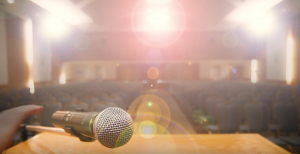 The second session in the Empowerment Series will be the film A Song for Marion (Unfinished Song), on Jan. 16, 11 a.m., at the Jewish Community Centre of Greater Vancouver with the JCC Seniors. For more information, call the JSA office, 604-732-1555, or Lisa Quay Cohen at the JCC, 604-257-5111. The Peretz Centre sponsors a program called Exploring Jewish Authors (in English) on the second and fourth Saturday mornings of each month, as well as Reading Yiddish Authors in Yiddish on the first and third Wednesdays of the month at 11 a.m. For more information, call the Peretz Centre office, 604-325-1812. Toby Rubin, coordinator of Kehila, introduced the afternoon and welcomed everyone. About 100 enthusiastic attendees dug into the summertime lunch of burgers and hot dogs prepared by Stacey Kettleman. After lunch, everyone proceeded to the sanctuary to be entertained by Caviar and Lace, comprised of Michelle Carlisle and Saul Berson. The duo performed an eclectic mix of classic, jazz and folk songs. Carlisle plays piano and Berson plays a variety of instruments, from saxophone to clarinet. They both played and sang, encouraging the audience to join in. The mix of oldies, and especially songs from the 1950s, was indeed music to the ears of the listeners, who were familiar with most of the melodies. A new JSA Snider Foundation Empowerment Series will start in the fall. Shanie Levin, MSW, worked for many years in the field of child welfare. During that time, she was active in the union. As well, she participated in amateur dramatics. 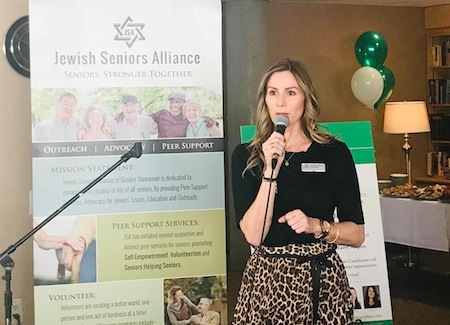 She has served on the board of the Jewish Federation of Greater Vancouver and is presently on the executive of JSA and a member of the editorial committee.